Is India heading towards its own Lehman Crisis? The burning topic today in India is about bank NPAs, NPA recovery especially from businessmen who have defrauded the banking system of crores of rupees & fled the country. As we complete 10 years of the Lehman Crisis, it seems we have not learnt any lessons from it though we must ensure that such a thing is not repeated. Although the Lehman Crises was slightly different from the current banking mess in India as it largely involved retail lending for real-estate loans as against large corporate loans in India, but the basic aspect of lending sub-prime & assets turning bad remains the main worry. All of us know of the Vijay Mallya & Nirav Modi’s of the world or the Bhushan Steel, Reliance Communications, Electrosteel Steels etc for being in the news currently for defaulting payments; let us just recall what happened 10 years back. The recession in 2008 was caused by the housing loan crisis brought on by a competitive banking system that resorted to sub-prime lending. Banks extended housing loans to many customers who did not possess the requisite repayment ability. The resultant payments default triggered massive fall in banks’ and real estate incomes. Sub-prime refers to a loan given to a borrower who does not qualify for a regular home loan, because of a poor credit record, low income and no job security. Lehman Brothers and Merill Lynch, two of the world’s largest financial institutions, booked big losses on account of their exposures to highly risky assets. Lehman ended up filing for bankruptcy, though Merrill Lynch managed to draw Bank of America to its rescue. Lehman Brothers had overexposed its investments in the real estate sector. As property prices tanked so did Lehman’s prospect on those investments. The sub-prime crisis was a result of individual incentives and lack of accountability. Credit history of borrowers is essential. There has to be greater check on the background of borrowers and their repayment ability. Also, rating agencies are typically paid by issuers and only for the initial rating. A true assessment should be carried out by a robust re-rating system. As we see today a lot of NPAs are getting settled with a 40-50% haircut which only emphasizes the point that there has been a large mismatch between the amount of loan disbursed and the underlying assets. Thus the crime has already been committed & corrective action has to be taken to clean up the mess. 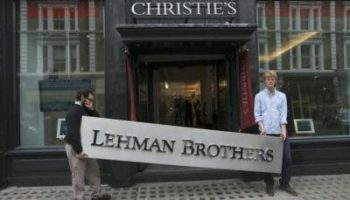 The earlier we do it the better else a Lehman like crisis is not far away.